Mitsubishi Electric have a new range of wall mounted air conditioners and heat pumps this model is the MSZ-LN25VG the smallest output model in the range. 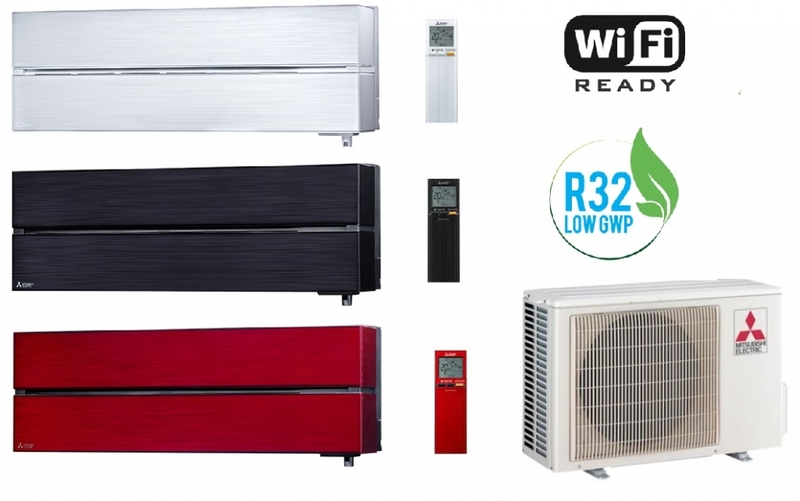 These new wall mounted models use the latest control electronics and R32 refrigerant for unrivalled running costs in both heating and cooling mode. Other features include built in Wi-Fi, with this feature the Mitsubishi Electric app can be downloaded and the system controlled either via the hand held controller or via the app via a phone or tablet device. More information on these systems can be found in the brochure below.